Minneapolis, MN (May 1, 2018) --- Cristo Rey Jesuit High School and Wallin Education Partners announced today that their partnership has resulted in 25 Cristo Rey students being awarded scholarships that will bridge the financial gap they need to attend college. This partnership is possible due to support from NorthStar Education Finance, Inc. and other generous donors. Working closely with advisors at Cristo Rey Jesuit High School, the team at Wallin Education Partners guided every student through the rigorous application process so that all 25 students who applied were awarded a scholarship. These students are among 279 Twin Cities students who were awarded scholarships this week, with Cristo Rey High School scholars earning the most of any of the 53 high schools that partner with Wallin Education Partners. “For the second year in a row, we have offered a place in our program to every Cristo Rey student who applied,” said Susan Basil King, Executive Director, Wallin Education Partners. 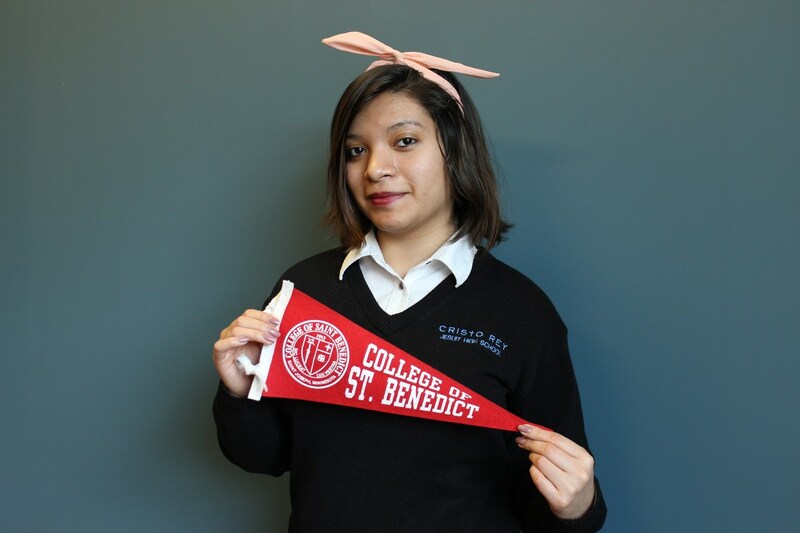 “The success of this partnership is the result of the team at Cristo Rey, our donors, and our staff working seamlessly together to recruit, guide and steward these outstanding students toward achieving their dreams of attending a four-year college,” she added. “Beginning next fall and for the following four years, we will work with each one to ensure that they graduate." The students are chosen based on academic merit and financial need. “The most predictive measure of college access is family income. Steady progress has been made in the last 40 years in helping at-risk students get into college, but only about 12 percent from this population will complete a degree,” said King. Scholarships from Wallin Education Partners, most of which are awarded to first-generation college students, are administered through a program tailored to this population that includes comprehensive advising plus financial aid that leverages other funding. As a result, over 90 percent of Wallin scholars graduate, making the program one of the most effective in the country. Founded in 2007, Cristo Rey Jesuit High School is part of the nationwide Cristo Rey Network of 32 high schools. The Cristo Rey Network serves over 11,000 students in high school and over 13,000 students in college as it has grown to become the largest network of high schools in the country that serves low-income students. Cristo Rey establishes a culture of high expectations by integrating rigorous academic preparation, significant professional work experience through the Corporate Work Study Program, and support for students to and through college. Win Wallin, an executive at Pillsbury and Medtronic, Inc. of Minneapolis and his wife Maxine, founded Wallin Education Partners 26 years ago. Today, the non-profit serves students from over 53 high schools attending private and public four-year universities in Minnesota and surrounding states.